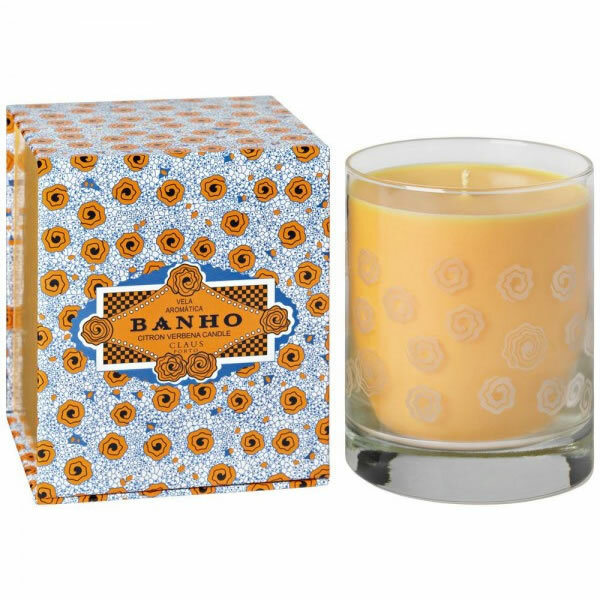 Claus Porto Banho Citron Verbena Candle contains a rich aroma that lasts for hours and the beautiful glass container is also a unique style statement in your home. Claus Porto Banho Citron Verbena Candle has been made my artisan craftsmen and is a clean burning soy based candle that lasts up to an incredible 70 hours, due to its 10.5oz soy content. Each Claus Porto Candle contains a rich blend of essential oils to give a strong aroma that burns throughout the candle to reveal the unique art deco designs on each of the Claus Porto Candles.